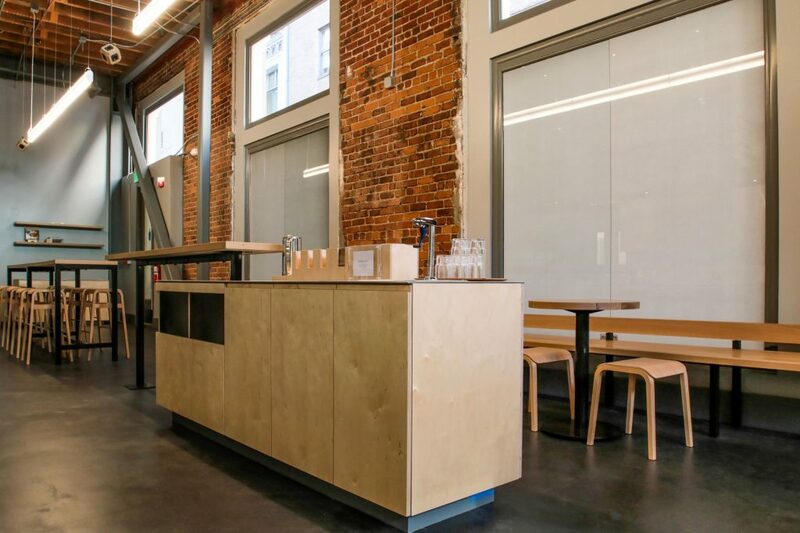 Blue Bottle Coffee is a network of coffee houses united by the simple purpose of getting great coffee to everyone who asks for it. 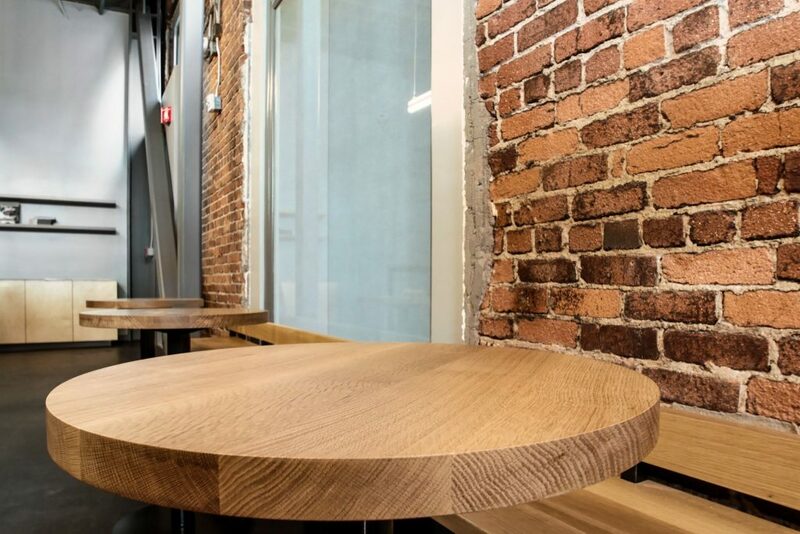 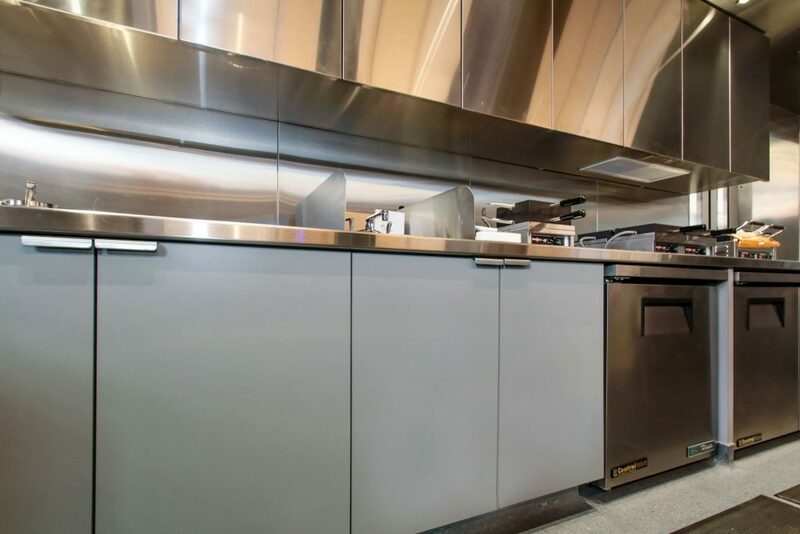 Elements Manufacturing, Doyle Construction and BCJ Architects worked together to support their goal by providing millwork that matches the functional and aesthetic vision of the growing chain. 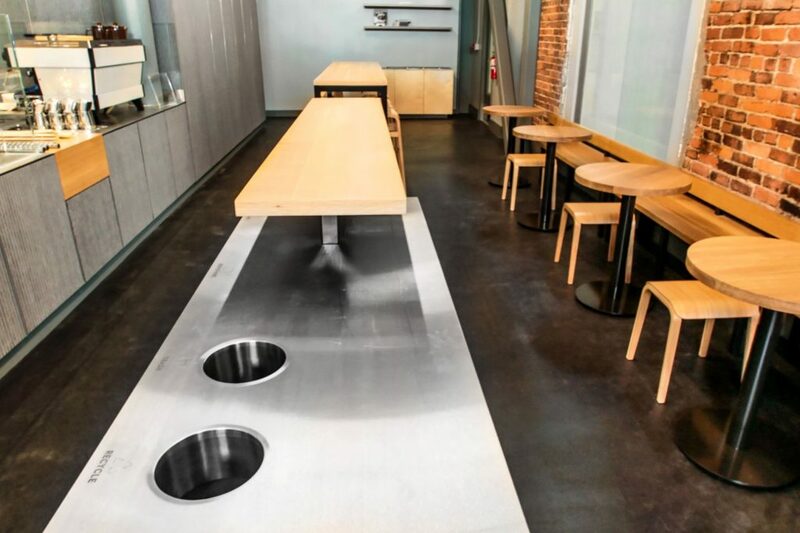 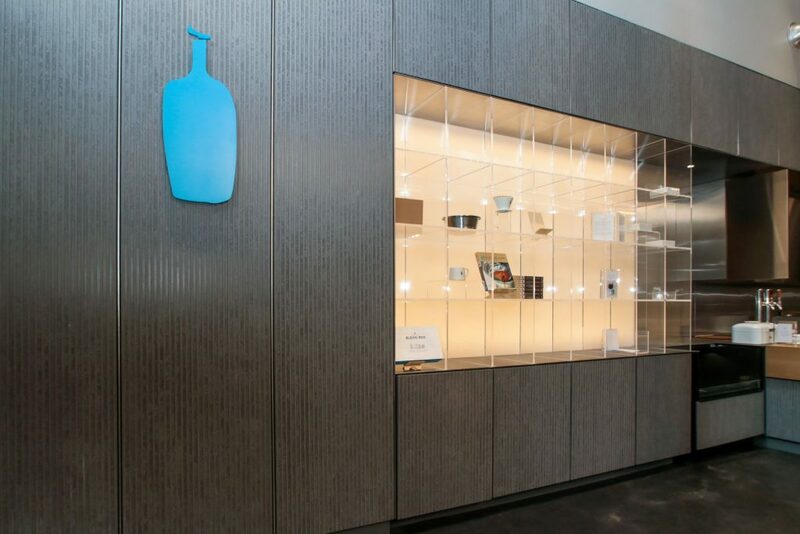 “We like this work because of the creative design process and the opportunity to help Blue Bottle create inviting environments for their customers” says Alan Stormes, VP of Elements Manufacturing. 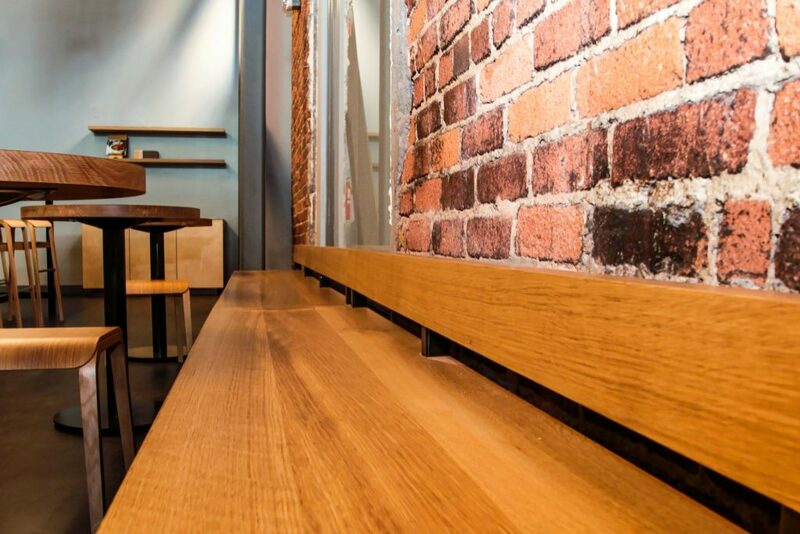 By combining oak, stainless, and Equitone to the existing brick interior, Blue Bottle has created an authentic space to serve their award-winning coffee near the Trans Bay Terminal on 2nd Street in San Francisco.